David V. Montoya (b. 1968) received a bachelor’s degree in music education from California State University, Los Angeles (1992), and a master of music degree from the University of Nevada, Reno (1998). He has taught in the Southern California public school system for 26 years, teaching both junior high and senior high school music. Currently, he is teaching as a member of the La Habra High School HiARTS program where he directs the choirs and teaches guitar. He also founded and directed the one and only La Habra High School Ukulele Ensemble. This ensemble has appeared in newspapers and on television, was a featured performance at the 9th annual Southern California Ukulele Festival, and played on stage with Bill Tapia and Janet Klein. In the 2009-2010 school year Montoya was named LHHS Teacher-of-the-Year. He also teaches choir concurrently at Sunny Hills High School as a member of the Conservatory of the Fine Arts (COFA). In November 2017, Mr. Montoya was inducted into the Youth-on-the-Move International Educator's Hall of Fame in a ceremony where his students performed and he played the ukulele. 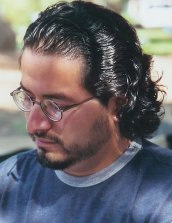 As a composer Montoya's music, including African Processional: "Jambo rafiki yangu," has been performed throughout the world by high schools, colleges, churches, and such prestigious groups as the United States Air Force Singing Sergeants, El Cafe Chorale (Costa Rica), the Kansas City Chorale, Louisiana State University A Cappella Choir, the Philippine Chamber Singers, and the Grammy Award-winning Phoenix Chorale. His compositions range from a cappella and accompanied choral music (from the silly to the sacred) to works for solo voice, guitar, piano, harp, brass, ukulele, and even harmonica. Montoya has spent his career making music in various churches around Southern California as a conductor, composer, tenor soloist and cantor. As a choral musician, he has performed with such fine organizations as the Los Angeles Master Chorale, the Pacific Chorale, the Singers of the Chapel of Charlemagne (an all-Gregorian Chant choir) and he has sung under the baton of such great conductors as John Alexander, Carl St. Clair, John Mauceri, Bobby McFerrin, Seiji Ozawa, Paul Salamunovich, and Roger Wagner. He once prepared a group of his high school students to sing with Grammy Award-winning chanteuse, Rickie Lee Jones. He currently serves as the Repertoire and Resources Chair for Choral Composition on the California Choral Director's Association (CCDA). He is a member of the Southern California Vocal Association (SCVA). the California Teacher's Association (CTA), the California Music Educator's Association (CMEA), and the American Society of Composers, Authors, and Publishers (ASCAP). In his work with various professional organizations, he has been a workshop presenter for the national conference of Advanced Placement teachers, California ACDA summer conference, and the California Ukulele Festival. Montoya lives in Southern California with his wife Patricia, his three sons, David Thomas (16), Joseph (15), Matthew (10) and the family canine Dusty (4). Montoya studies composition with his dear friend and teacher, noted author/composer, William Allaudin Mathieu. He is also a student and friend of composer/author George Heussenstamm. and is the caretaker of the entire collection of Heussenstamm scores and recordings. Montoya studied jazz ukulele with the late, great, acclaimed uke master Bill "Tappy" Tapia, who passed away in December of 2012 just one month shy of his 104th birthday. Bill was known as the oldest living professional performing musician in the world and he made music right up to the very end.